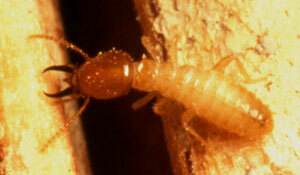 Worker termites are pretty standard looking throughout most termite castes. When you compare most pictures of termite workers they will all apear very very similar for that reason. 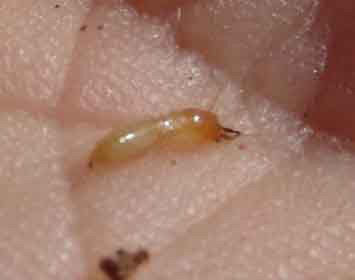 Termite workers are thin skinned and need to be in contact with damp soil. This means that they stay out of the sun and open areas where their bodies won’t dry out. They tend to look semi-translucent in color, which gives them a whitish, cream color appearance. 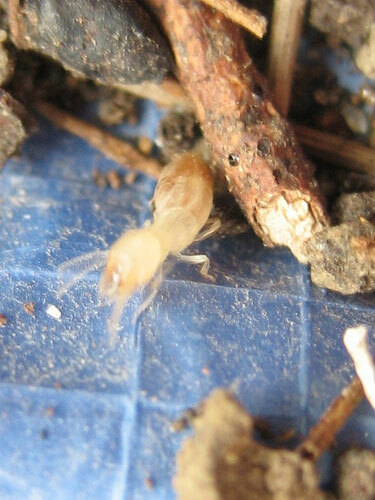 The termite workers picture below is from a nest that was dug up and exposed. Looking at pictures of termites give you a great tool for identifying termite problems, since termite workers are the most common type of termite and will be the ones eating away at your home. A close up picture of a termite worker. 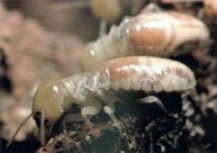 Since termite workers are blind they find their way around by scent and by feel. 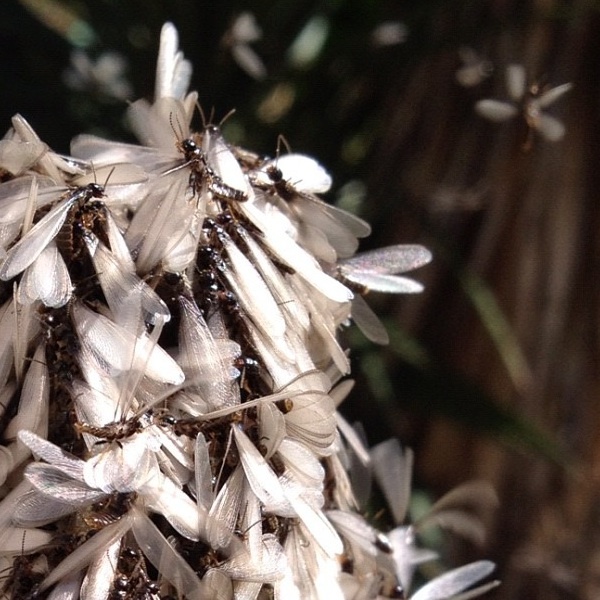 It is rare to see termites out in the open like this. The tend to stay underground or in termite shelter tubes that they build to get across open areas.